Hurricane Matthew is supposed to strengthen up to a Category 4 hurricane now, as it goes up the eastern coast of Florida. It’s terrible being old and frail. My dad is 89, with Parkinson’s, being cared for by nurses and staff, but he’s skin and bones, his feet are cold and blue tinged. He’s 120 pounds, or less. I cut his fingernails and toenails today for him, and he’s so old now. Skinny legs, bony knees, bony feet, skinny arms and hands. He can’t walk by himself, nor do personal care. I brought him some Haagen-Daas ice cream and some strawberry cheesecake cups by Jello, and a few other treats, because he likes to eat sweets. He’s thin as a rail, even though he eats all that fattening food. I hope I never get that old and frail. If I do, that’s the way it will have to be, but it’s not happy and wonderful after a person retires. The commercials are all lies. Most seniors get sick, and have to stay in bed for the last years of their life. They have to either wear diapers or catheters, can’t walk by themselves, can’t even hold a book to read it, can’t remember what they did 20 minutes ago, and God help them if no one cares about them. Society treats it’s elderly like they treat unborn children, it seems. 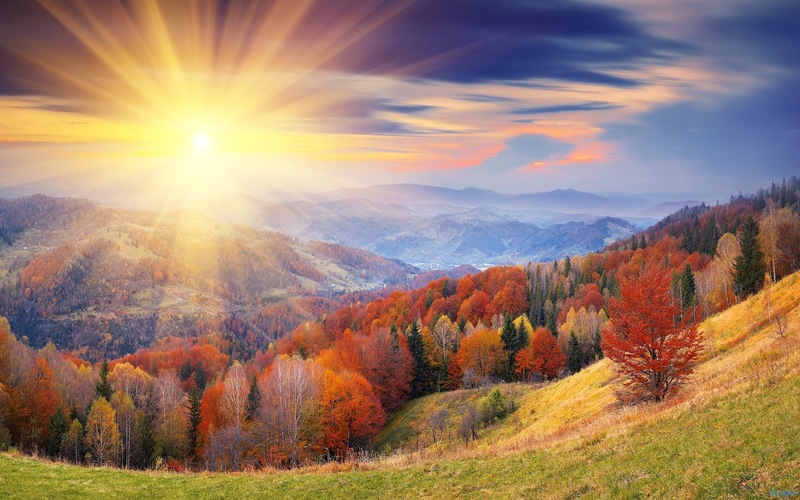 Nearing the end of life is a very difficult time for old people. A long time ago someone said, “Life is hard, and then you die”. Yes, I know life can be wonderful and beautiful, but old age is probably the worst time of a person’s life. I mean, the last couple of years, not old age in general. Wow, what a catastrophic hurricane Matthew turned out to be. From a tropical storm to a category FIVE in a very short time, with a central pressure unusually high. 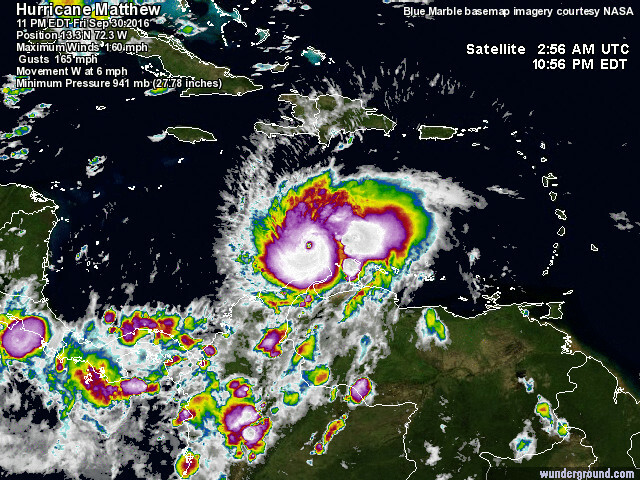 Matthew put on a spectacular and wholly unexpected display of rapid intensification on Friday, strengthening from a tropical storm to a Category 5 hurricane in a remarkably short period of time—just 36 hours. It’s a good thing this unexpected rapid intensification burst did not occur as the hurricane was approaching landfall in a heavily populated area, with a population unprepared for a catastrophic hurricane strike. There have been other storms that have intensified even more rapidly from tropical storm strength to Category 5 than Matthew, though. For comparison, Hurricane Wilma of 2005 and Hurricane Patricia of 2015 accomplished the feat in 24 hours; Hurricane Felix of 2007 did it in 30 hours; Hurricane Rita of 2005 and Hurricane Andrew of 1992 did it in 36 hours; and the Great Labor Day Hurricane of 1935 did so in 42 hours. More predictions from earlier this week, but PRAISE GOD, the forecast is for Matthew to turn AWAY from the east coast, or a lot of it. The first 3 screen shots are from a fascinating web site called Ventusky. 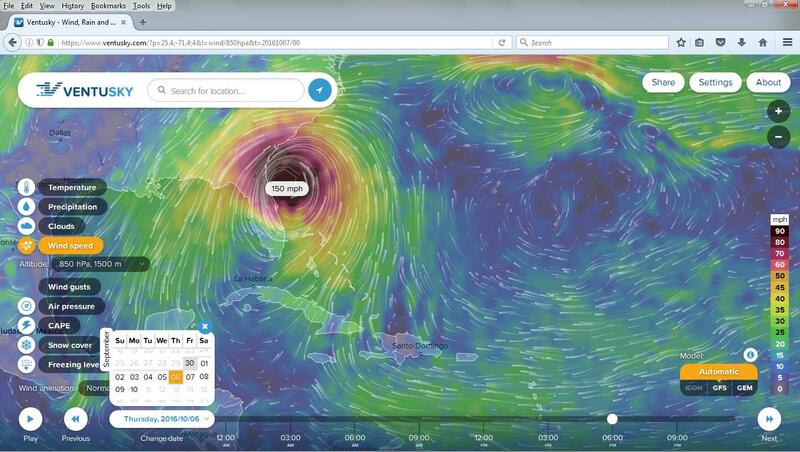 Go there, and look around, and be sure to click “wind speeds”, and then click up higher in the atmosphere. They still expect it to get back up to a category 3, which is still destructive, terribly. I hope my friends in Delaware will be safe.